The Globe Firepit is an unusual, eye-catching design featuring a bright enamel bowl. 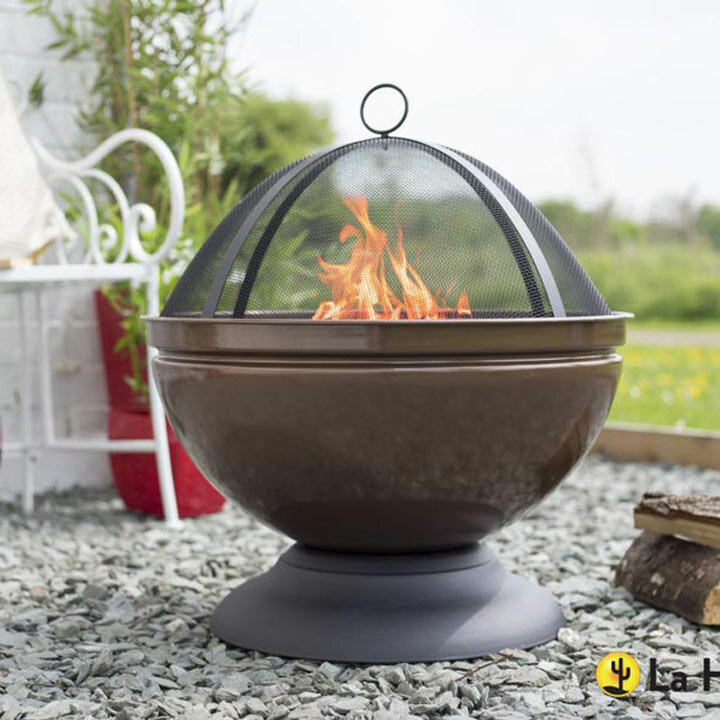 Quick and easy to use: create a log fire within the bowl of the product, position the protective mesh cover and wait for the flames to dance. Relax in your favourite position and enjoy the mesmerising view of the flames. Buy now and add a pop of contemporary colour to your garden. Comes complete with a chrome-plated cooking grill and metal tool for safely removing the provided mesh lid. Height 60cm; diameter 56cm.